Will I be able to make a compensation claim for a holiday accident or illness on holiday and if so, who will I claim against? You will be able to pursue a claim for your illness on holiday or holiday accident if a third party was to blame. If you booked your holiday through a UK Travel Agent the claim will be pursued directly against them. How do I make a claim for an illness on holiday or holiday accident? Telephone this firm on 0800 980 9384 or complete the enquiry form at the bottom of this page and one of our specialist lawyers will speak with you and provide you with the advice and assistance which suits your needs. If, after an informal discussion, we believe you have a case to claim compensation for your holiday accident or illness on holiday, we will be happy to pursue the matter on your behalf and contact all relevant parties. We will provide you with regular updates regarding what is happening with your holiday compensation claim and if you have any questions at any time, we will always be happy to speak with you. How long will I have to pursue my holiday accident or illness on holiday claim? The time limit which applies to personal injury claims is normally three years for adults and those under 18 years of age have until their 21st birthday within which to bring a claim. Different time limits may apply where you have been involved in a holiday accident or have suffered an illness on holiday on a ship, boat or aeroplane. It is therefore advisable to contact us as soon as possible so that we can let you know the time limit which applies to your claim. 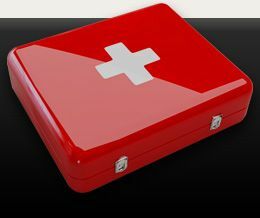 If my claim for holiday accident or illness on holiday compensation claim is successful, what will I be compensated for? You will recover compensation for your pain and suffering. You will also be awarded compensation for any financial losses you have incurred as a result of your holiday accident or illness on holiday. For example, if you have had to take time off work on your return home and have lost money as a result of this, we will be able to claim this on your behalf. The accident will not only affect you but also those around you. If you have been provided with care and assistance because of your injuries, a claim can be made for the time spent by family and/or friends providing you with this care and assistance.